Home / Blog / Uncategorized / Long term focus: China again takes the long term view, even on Trump! I must say I was surprised that, if her summation is reflective of ‘ordinary people’, Hillary Clinton was/is also seen as hostile to China, tough on China. But what did the Chinese media say about the result? I started with the China Daily, the newspaper that is aimed primarily at an international audience and published by the Publicity Department of The Communist Party of China. The editorial has the headline “As President will Trump be as he was as a candidate?” The language is respectful, reassuring and cautious and hopes that the two countries can continue to strengthen their cooperation. Xinhua, the official press agency of the People’s Republic of China and the biggest and most influential media organization in China, was muted in its response. The news item was number 10 in its headlines, after stories about the President, Xi Jinping speaking to astronauts on the Chinese space station and the return of the Premier Li Keqiang from a European trip. The story of the election is entitled “China to work with new U.S. Administration and the copy runs to 4 sentences. Reassuring, cautious. Finally, the South China Morning Post, published out of Hong Kong, seemed to distance itself from direct comment by publishing Japanese reaction. But in a later edition, the front page headline sounded a sombre warning that protectionist policies point to hard times for Hong Kong and China. The commercial reality, however, is that financial markets bounced back after only 24 hours of shock and the hope here is that the businessman who had earlier talked in more ’democratic’ and socially liberal terms will re-emerge in the guise of President. On the same day, the Vice-President, Asia, of Google was interviewed about Google’s plans for significant expansion in the region and emphasised that, despite the rhetoric about immigration and foreign policy, President-elect Trump had talked positively about trade in Asia. 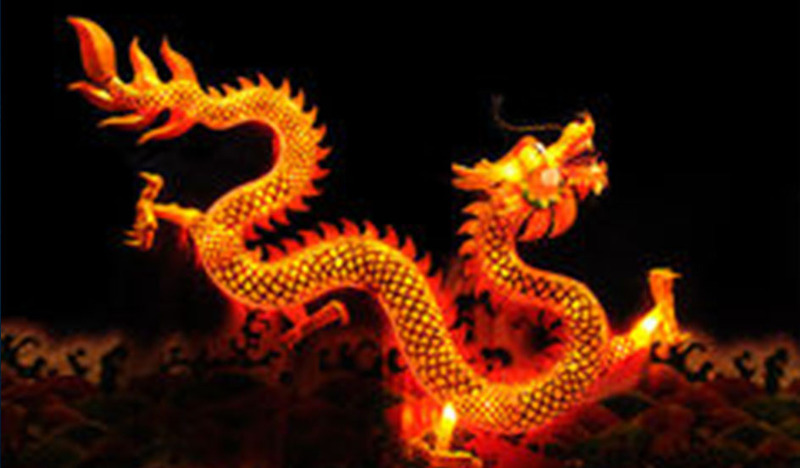 So, the hope here is that the lion will lie down with the lamb – or, more appropriately the lion and the dragon can live in the same space – and that economic reality will temper the harsh words of political campaigning to achieve a more equitable and future oriented relationship based on mutual interest. The Chinese people talk in 30 and 50 year terms. They have a saying “It takes three generations to raze a mountain”. A four year term is a blip on the radar but the hope is it will be a steady pulse rather than a huge shock at the beginning of a grave or brave new world.